➽Forest Research Institute, Dehra Dun. Walk-in-interview for the position of Senior Research Fellow (SRF), Junior Research Fellow (JRF), Project Assistants (PA) and Field Assistant (FA) in the Board Room of FRI Main Building, P.O. New Forest, Forest Research Institute, Dehra Dun. Walk-in-interview for the position of Junior Research Fellow / Project Assistants and Field Assistants at Rain Forest Research Institute (RFRI), Jorhat. Walk-in-interview for the position of Field Assistants at Rain Forest Research Institute (RFRI), Jorhat. 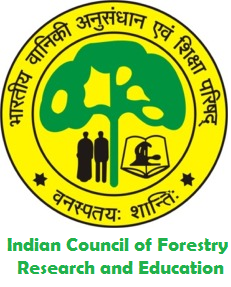 Walk-in-interview for the position of Junior Research Fellow and Field Assistantat Centre for Forest Based Livelihoods and Extension (CFLE), Agartala. Walk-in-interview for the position of Junior Research Fellow, Project Assistants and Field Assistant at Advanced Research Centre for Bamboo & Rattan (ARCBR), Aizawl. Walk-in-interview for the position of Junior Research Fellow / Project Assistants and Field Assistants at Arid Forest Research Institute Jodhpur.